UPDATE! – Holiday Card Exchange meets Tiny Prints! Happy Wednesday everyone! I hope you all are having a good “hump day,” as it were. The Hand-Written Life is all about personal connection, inspiration, heartfelt messages and fostering those ideals whenever possible. And the folks at Tiny Prints work hard to promote those same concepts on a daily basis as well. That’s why they’re offering a fun opportunity to everyone participating in this year’s holiday card exchange! and be part of the Holiday Celebrations! I would really like to thank Tiny Prints for collaborating with us on this project, because I don’t think it can get any more personal or heartfelt than designing it yourself – so this is a really great opportunity to have! I would also like to extend a huge thank you to everyone who has already signed up to participate, because I think this is going to be a really fun exchange, and that’s all thanks to you guys! I’m really excited to see what you all come up with. For those of you who haven’t signed up yet, but are interested – what are you waiting for? Remember, you don’t have to be a regular reader, or even a blogger, to join in – and cards can center around any winter holiday! But you better hurry…there are only 9 days left! And if you’re on Facebook, be sure to “Like” Andrea Kelly and The Hand-Written Life, today! *Tiny Prints is not an official sponsor of Andrea Kelly or The Hand-Written Life, and the author was not compensated in any way for this post. The above views and opinions are entirely the writer’s own. 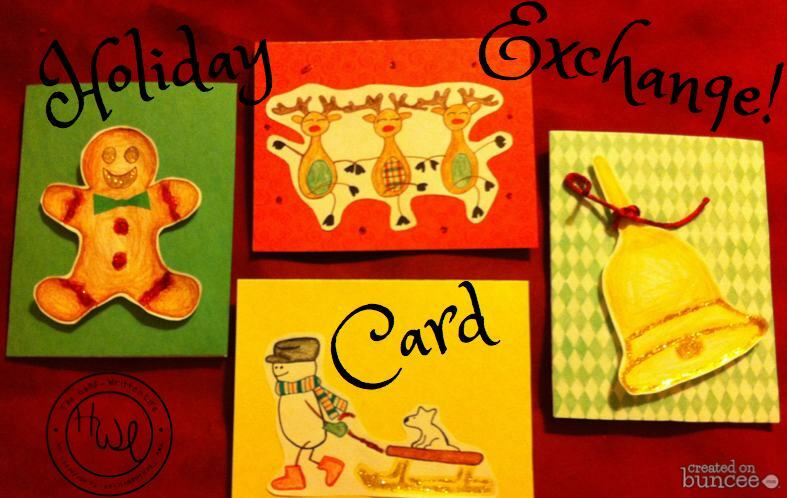 Just For Fun – A Blogging Holiday Card Exchange! !